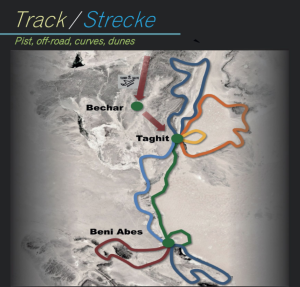 Desert Rose Racing are pleased to announce that we will be returning to the Tuareg Rally in 2019. With the exciting news that this event will be held in Algeria for 2019, more details to be up here as they’re announced! 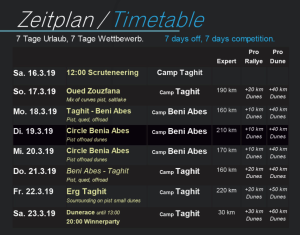 Desert Rose Racing will be offering two levels of assistance for the Tuareg Rallye, ‘Lite’ and ‘Full’, the details of which are explained below. Both packages include, most importantly, our legendary smiles, support, encouragement and the huge value of our experience! Giving you the most fulfilment out of your adventure and the very best chance of getting to the finish line! With nearly 20 years of Rallye experience, there is rarely a situation that occurs that we haven’t experienced before! Basic route details have now been announced, in the form of the map above! All competitors are due to arrive in Algiers together, with then a chartered ‘Tuareg Airlines’ plane then flying directly to Bechar. A coach/bus is then due to take everyone from Bechar to Taghit, where the rally is due to start. 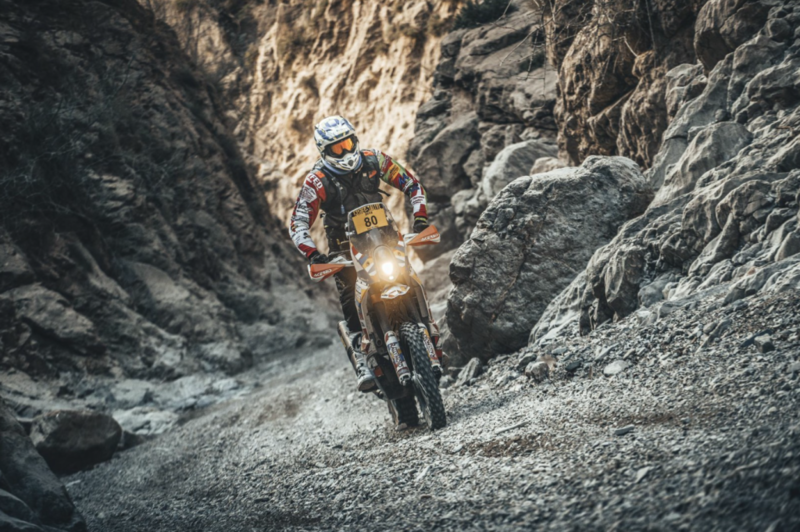 ● Our advice and support right from the start, on everything from preparing yourself and the bike, kit and gear choices, to help with the logistics of arriving at the event. All from our experience gained from our many years in the Rally world. ● Kit Transport, to and from the event, transfer of two 64 litre boxes for your equipment and spares, as well as one soft kit bag for your riding gear. Plus two spare wheels fitted with tyres, as well as extra tyres/mousses depending on event. This would all be transported bivouac to bivouac each day. ● Access to the ‘Umbrella’ of our support truck. 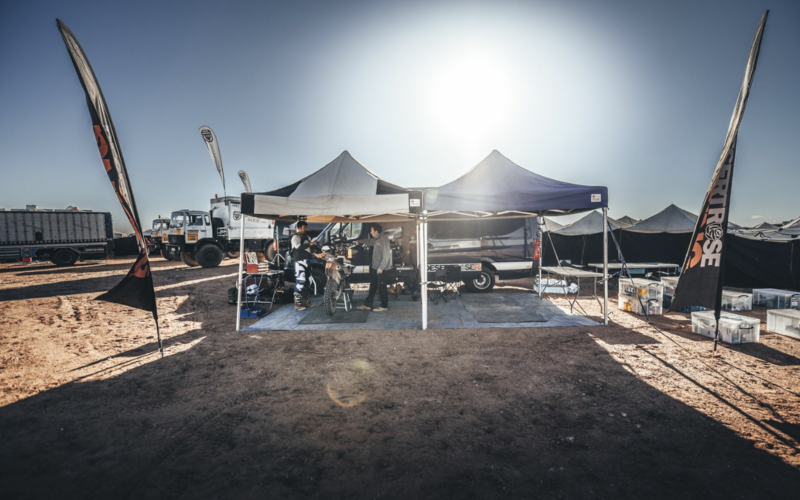 A covered work area for you and your bike, rubber matting, lighting, a generator, air compressor, specialist tools, mousse and tyre changing equipment, sundries, refreshments and a table and chairs to sit around whilst you discuss the day’s adventures with your fellow team mates! ● Our support vehicle will be at the service points each day, providing advice, refreshments, a covered area out of the weather, and carrying a selection of tools. The support vehicle does not leave until the last team rider has passed through. ● Access to the spares carried in our support truck. 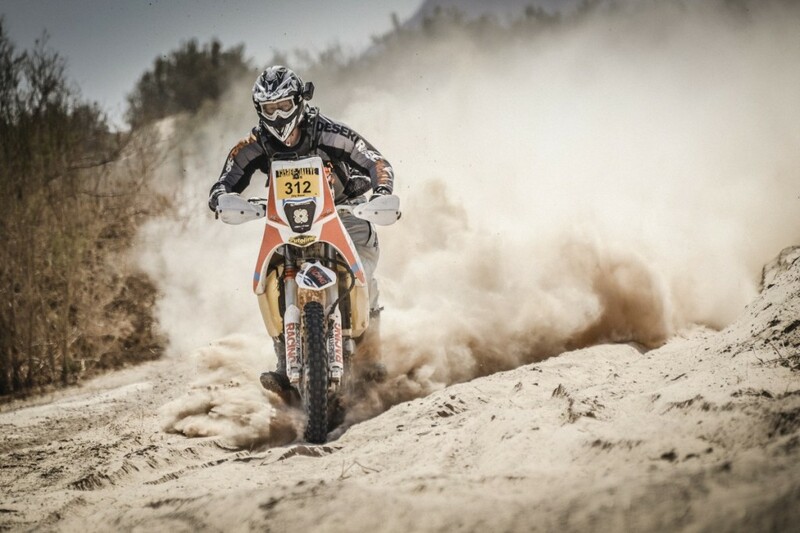 ● Our assistance through registration, signing on, scrutineering and any organisational contact throughout the event. Early on in your rally career this can be a rather daunting prospect! 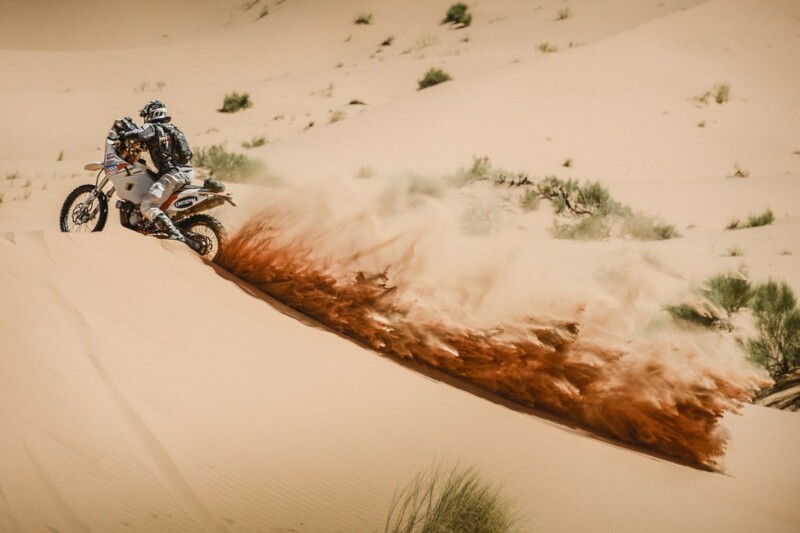 ● Desert Rose Racing also ensure that every bike that is transported with them to the start of the event is covered under a Carnet ATA, ensuring that there is no risk of anyones bike or kit being stranded at the port. Despite the extra cost that this incurs, we consider this an essential for rally bikes and equipment being transported into modern day Morocco. ● A Desert Rose Racing team jersey and tee-shirt. ● In addition to the points listed above, when taking out our full support package, you will be assigned one our experienced mechanics. At the end of each day they’ll run through with you the condition of your bike, any works necessary and any issues that have arisen during the day. Your bike will be taken care of, any servicing carried out, and too the best of our abilities and time restraints, repairs carried out.